Plate magnets are cost-effective, robust magnets that are well suited for filtering undesired ferromagnetic (Fe) particles out of free-fall product flows or products on a conveyor belt with relatively little Fe contamination. They have a deep, powerful holding field, enabling them to ‘capture’ Fe particles from the product flow and securely hold these contaminants against the magnet. 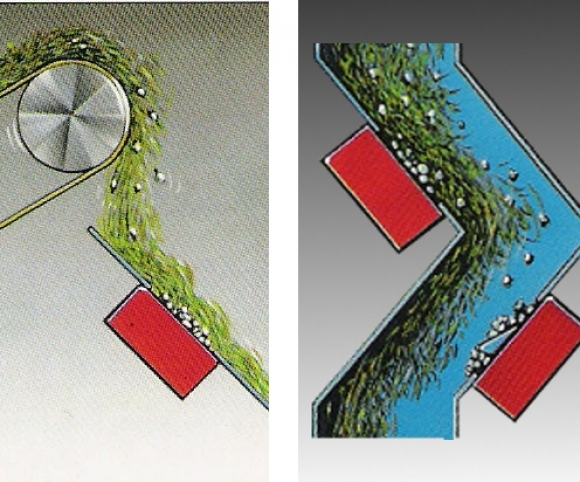 Magnet cleaning is performed manually by wiping (use safety gloves) or semi-automatically (plate magnet with extractor plate) by swinging the extractor plate away from the magnet (the Fe particles fall off of the extractor plate as soon as they are moved far enough away from the magnet). Plate magnets are available in various standard sizes, with either ferrite or neodymium (Neoflux®) magnets. Other versions available on request. 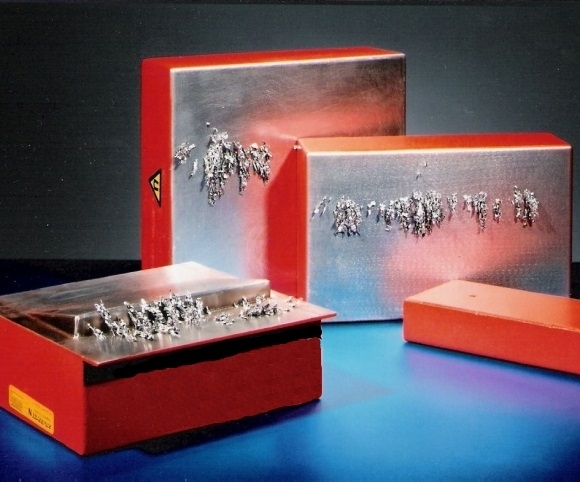 Permanent plate magnets (also called ‘flat magnets’ at Goudsmit) can be easily built into existing installations and are used to filter undesired ferromagnetic (Fe) particles out of various raw materials (e.g. food products, plastics, chemicals, wood, stone, ceramic materials). Used in this way, plate magnets serve to protect processing machines in a reliable, economical manner, which prevents interruption of production processes. In this situation it is important to allow the magnetic lines of force to penetrate as deeply into the product as possible. This improves the success rate for capturing Fe particles. To maximize field depth Goudsmit places an extra magnet between the magnetic poles. This pushes the magnetic flux (the magnetic field) deeper into the product. We call this flux control. This technique results in around 20% more capture power with a magnet of the same size. Filtering Fe particles is easy when the product flows over the magnet. In this situation it is not the depth of the field but the strength of the magnetic field at the poles that is most important. Magnets optimized in this manner can even filter out stainless steel shavings. 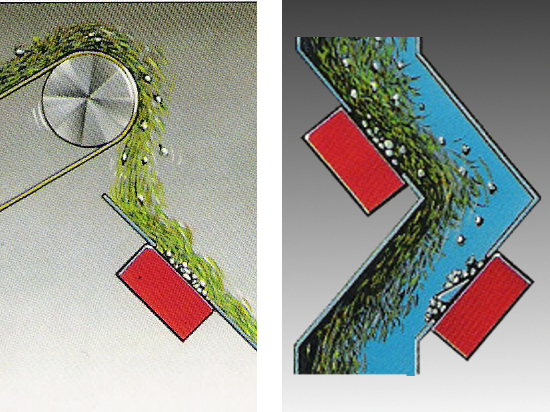 A groove prevents captured Fe particles from being carried off again; once they fall in, they cannot be carried off again by products passing over them. A product travelling through a conveyor chute can reach very high speeds. This makes it essential to use a powerful Neoflux® (neodymium) magnet for these applications. The products contact or pass close to the magnet, and the powerful magnet system draws in the Fe particles and holds them securely. All our magnetic plates can be fitted with ferrite or neodymium (Neoflux®) magnets.